Howdy folks and welcome back to Mancave Movie Review. 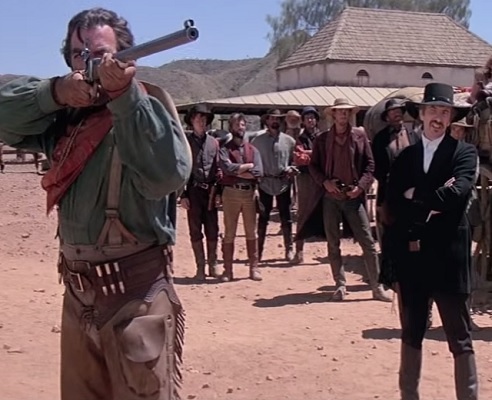 This is Episode 221 and we will be talking about Quigley Down Under. This great and fantastic film stars Tom Selleck, Alan Rickman and Laura San Giacomo. So kick back with a can of Fosters while Steve, Ken, and the Reverend talk about dingos and petticoats. 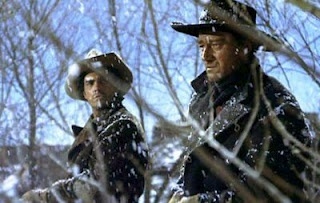 to be one of the greatest films made, The Searchers. This movie features the legendary John Wayne, along with Ward Bond, Jeffrey Hunter, Vera Miles, Natalie Wood, Harry Carey, Jr., Hank Wordenand Ken Curtis. So saddle up as Jeff, Ken, Bryan and Mark tell you why it is never a good idea to pick a fight with John Wayne as it will only result in you becoming a corpse with your eyes shot-out for good measure! Howdy folks and welcome to the Mancave Movie Review! 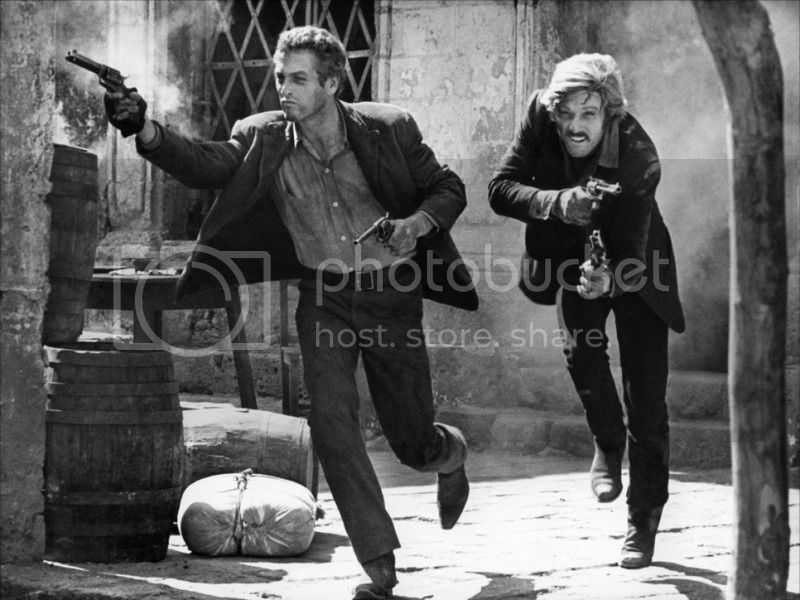 This is Episode 185 and we are finally talking about that long awaited review, Butch Cassidy and the Sundance Kid. This great and fantastic film stars Robert Redford, Paul Newman and Catherine Ross. So kick back and relax with some good bourbon while Steve, Mark, Ken and Jeff tell you why they don't rob you coming down the mountain. Hope you enjoyed the show and will be back for more. Looks for us on Facebook and give us a like and share us with your friends. You can listen to us on Itunes and Stitcher and follow us on Twitter. Howdy folks and welcome to the Mancave Movie Review. 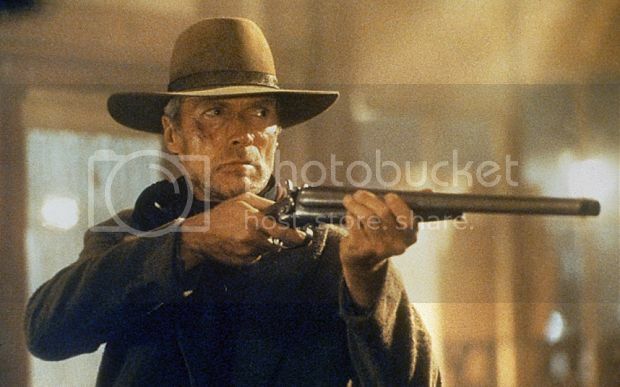 This is episode 178 and today we will be talking about Unforgiven. This great and fantastic film stars Clint Eastwood, Gene Hackman, Morgan Freeman and Richard Harris. So kick back with some bourbon and relax while Steve, Mark, Ken and Jeff talk about playing billiards. Hope you enjoyed the show and will be back for more. Until next time, Ciao! Welcome to Mancave Movie Review Episode 149 where we will be talking about The Wild Bunch. This great and fantastic film stars William Holden, Warren Oats, Ernest Borgnine, Robert Ryan and Ben Johnson. So sit back with your favorite cervesa while Steve, Mark and Ken tell you about buckets of blood in 1913 Mexico. Hope you enjoyed the show and will come back for more. Please visit us on our Facebook page and give us a like and share us with your friends. You can listen to us on Itunes and Stitcher and follow us on Twitter. Greetings all and welcome to the Mancave Movie Review podcast. 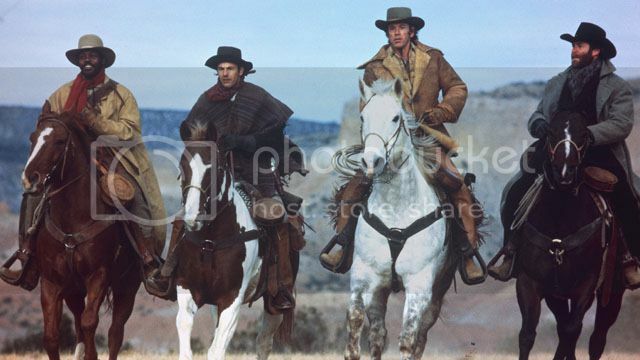 This is Episode 142 and today we will be talking about Silverado. This great and fantastic film stars Kevin Kline, Kevin Costner, Scott Glenn and Danny Glover. So sit back with some good saloon whiskey while Steve, Mark, Ken and Jeff tell you why kissing strange women in a saloon may get you hung. Hope you enjoyed the show and will stick around for more. Visit us on our Facebook page and give us a like and share us with your friends. Listen to us on Itunes and Stitcher and follow us on Twitter. Greetings and welcome to Episode 118 of the Mancave Movie Review podcast. Today we will be talking about The Magnificent Seven. This great and fantastic film stars Yul Brynner, Steve McQueen, Eli Wallach, Charles Bronson, Robert Vaughn and James Coburn. So kick back with a nice bottle of tequila while Steve, Ken, Mark and Jeff tell you how $20 and a hot meal could buy some of the best gunslingers south of the Rio Grande. Hope you enjoyed the show and will be back to for more Mancave Movie reviews. Check us out on our Facebook page and share us with your friends. You can listen to us on Itunes and Stitcher and follow us on Twitter. Howdy folks and welcome to Episode 103 of the Mancave Movie Review. Today we are going to be talking about the John Ford classic, She Wore a Yellow Ribbon. This great and fantastic film stars the great John Wayne, John Agar, Ben Johnson and Joanne Dru. So take off your chaps and kick back and relax while Steve and Mark tell you why Mancave Movie heaven will be buffalo hunting and drinking whiskey. Hallelujah! Thanks for stopping by and we hope you enjoyed the show. Please visit us on our Facebook page and give us a like and share us with your friends. Also listen to us on Itunes and Stitcher and follow us on Twitter. Welcome back to Mancave Movie Review, Episode 55. Today we are talking about a classic western known as The Outlaw Josey Wales. This great and fantastic film stars the great Clint Eastwood, Chief Dan George and John Vernon. So kick back with a bucket of chock and some chewin tobaccy while Steve, Ken, Jeff and Mark tell you why you never mess with Mr. Chain Greased Lightning. Stay tuned for us next week when we talk about Hitman. Until then, visit us on our Facebook page, follow us on Twitter and listen to us here or on Itunes! Welcome back to Mancave Movie Review, Episode 38. Today we are talking about Open Range, a great western starring Kevin Costner, Robert Duvall, Michael Gambon and Annette Bening. So saddle up with your favorite bourbon or beer while Steve, Mark and Jeff tell you why having Moo Parks in the 1880's would have solved the whole free grazing problem. Next week we are talking about Roadhouse! Welcome back to Mancave Movie Review, epic episode 25. Today we are going to be talking about The Good, the Bad and the Ugly. 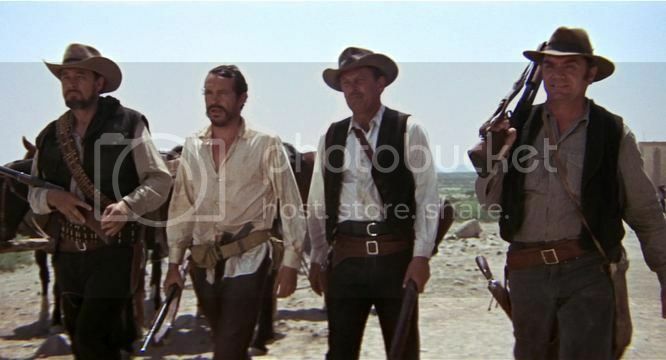 This classic Western stars Clint Eastwood, Lee Van Cleef and the wonderful Eli Wallach. This is landmark show for us so this a longer episode than usual and we hope you enjoy. Now is the time to grab a bottle of whiskey, kick back while Steve, Mark, and Jeff talk about how the best American Western was directed by an Italian and filmed in Spain. Welcome to Episode 13 of Mancave Movie Review where we will be talking about Tombstone, starring Kurt Russell, Val Kilmer, Sam Elliot, Powers Boothe, Michael Biehn and whoa...down boy...Dana Delaney! And we haven't mentioned all of other great actors in what is really a fantastic ensemble movie. So grab your street howitzer and saunter down with Mark, Jeff and Steve while we tell you about how the west was won. To download the episode, right click the download link and then save.